Anyone got a spare 100 Gs? Thread: Anyone got a spare 100 Gs? Whilst pursuing a vintage cigar box I stumbled on this gem. Last edited by markbignosekelly; 02-09-2019 at 06:19 PM. Geezer, sharptonn, 32t and 10 others like this. My word! Flip-out candle-holders. A rich man's kit. outback and Dieseld like this. Even if I was a rich man i dont think i could drop that amount. The link shows more photos and explains the heritage, wish it would show the straights up close, i bet they are stunning. BobH, outback and Dieseld like this. 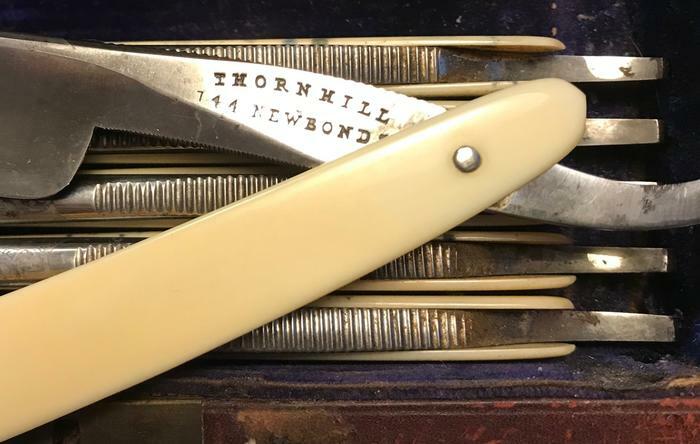 I was lucky to score a set of Thornhill razors in ivory. Before finding the forums I shaved with dollar store, pack of ten. Was I more insane then,or now? Geezer, sharptonn, BobH and 7 others like this. The arms of the candle-holders look crystal! A thermometer and a barometer. Food, shaving, class. Can just see some safari-going Brit way back, with a big double-gun and a train of men toting along similar things, laying that out in his tent. IF that was front-pocket money for me, I might have it! Last edited by sharptonn; 02-10-2019 at 01:50 AM. Geezer, markbignosekelly, outback and 2 others like this. Opulent. Decadent. Over the top. Certainly is of another age. 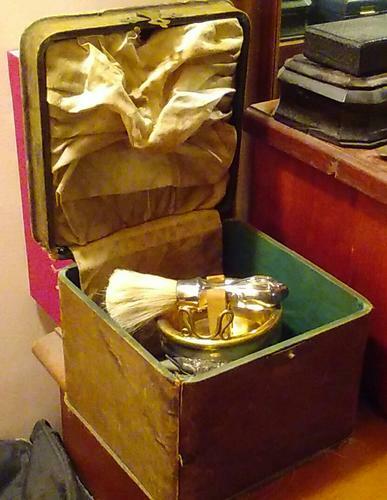 Looks like it would partner well with those over-sized hold everything steamer trunks the upper crust used on their sea faring excursions. markbignosekelly, outback and Dieseld like this. That's pretty exquisite.... I think I have the missing scuttle to that set. caccia, markbignosekelly, joelkerr and 2 others like this. 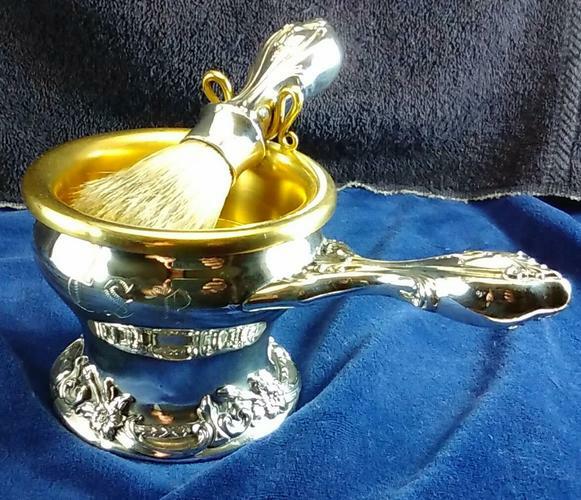 I love that scuttle and brush Mike. 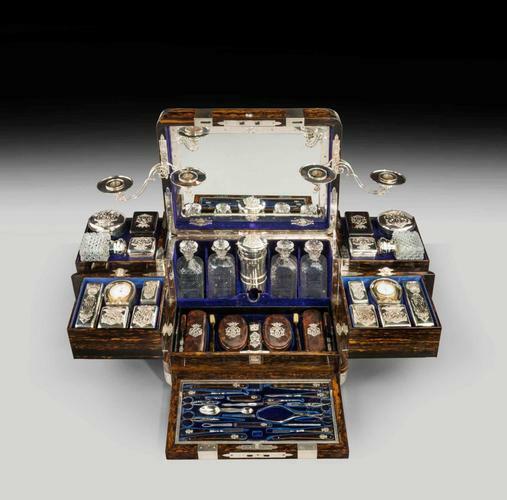 By my fag packet calculations, out if the 64 piece set yours would be worth £3117. I'll give it to the Victorians they knew how to cater for the aristocracy. Pretty much is. Through my search on it, I found out it was a commissioned, piece. All I know is his initials were engraved into the piece. 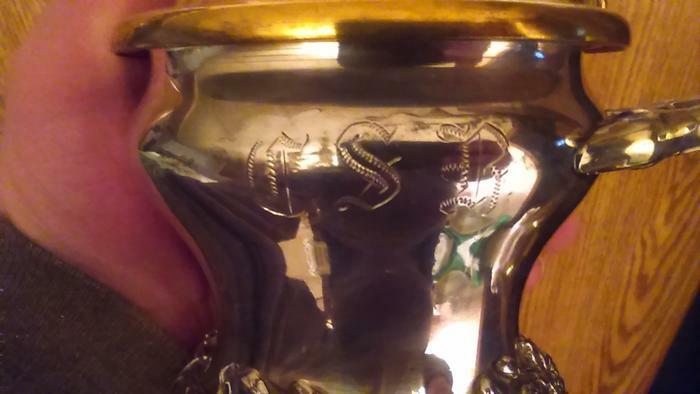 Derby Silver Co. showed no listing of this piece being manufactured in quantity. So yeah!...it's a one of a kind piece, made for an individual, by his specifications, or those that had it made for him, as a gift. I do retain the original box, though a bit aged. markbignosekelly, joelkerr and Toroblanco like this.